Anything that can keep kids interested for more than a millisecond gets a tick of approval in my book. Our previous posts on Makedo have spruiked the entertainment value of this very clever brand. 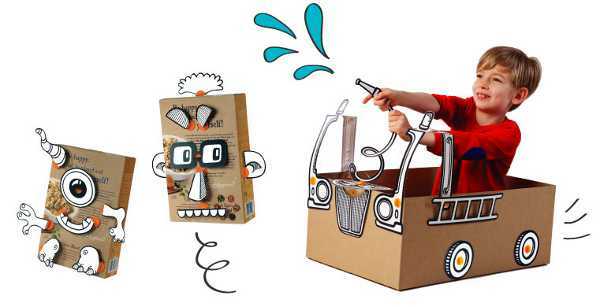 Here’s the latest offering from the folk at Makedo – Box Props. 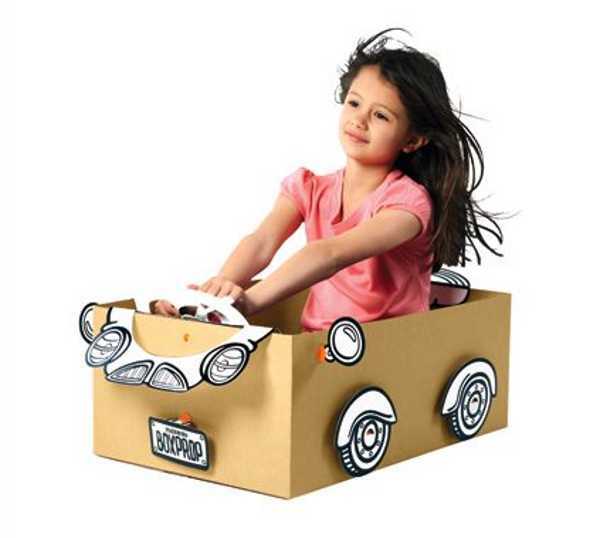 Box Props encourage kids to use empty household packaging to create all manner of things, from characters and animals to fire engines and aircraft. The range is simple for kids to master with some initial guidance from parents. The pieces are joined to the boxes using Scrus, which are child-friendly versions of screws. The kits come in two versions, Faces and Transport. The Faces are perfect for using empty cereal containers and smaller boxes, while larger boxes will work fantastically with the transport options. The pieces are all reusable, and can even be coloured in to give the kids even more artistic licence over their creations. The People, Robot, Pet or Monster Face Kits cost $10 each, the Aeroplane, Roadster, Digger or Fire Engine Kits cost $15 each from Makedo.